Well over 300 people gathered at All Saints Church, Luton, to celebrate 70 years since the arrival of the SS ‘Empire Windrush,’ bringing around 500 Caribbean immigrants to start new lives in the UK, and to help rebuild the ‘Mother Land’ after the 2nd World War. This was the beginning of the ‘Windrush Generation,’ bringing labour and skills into Britain’s industry, transport systems, and National Health Service. Caribbean food, music, sporting and artistic talents have contributed much to the multicultural Britain we know today. The Windrush Generation frequently faced racism, prejudice and a clear message to go home. Sadly, the Church was often silent, and even complicit. Attended by the Bishop of Bedford, whose message was one of lament for the errors of the past, the Windrush celebration sought to recognise the resilience and resourcefulness of the Caribbean community, lament the lack of welcome experienced, and celebrate their undoubted contributions to the UK. Through personal reflections, music, poetry and laughter, the joyful gathering pledged that we must all move forwards together. Do people really have premonitions of the future? Can we make contact with the dead? If so, is there any scientific evidence for such things? These were some of the questions that a group of us from St Albans Diocese were thinking about earlier this week. 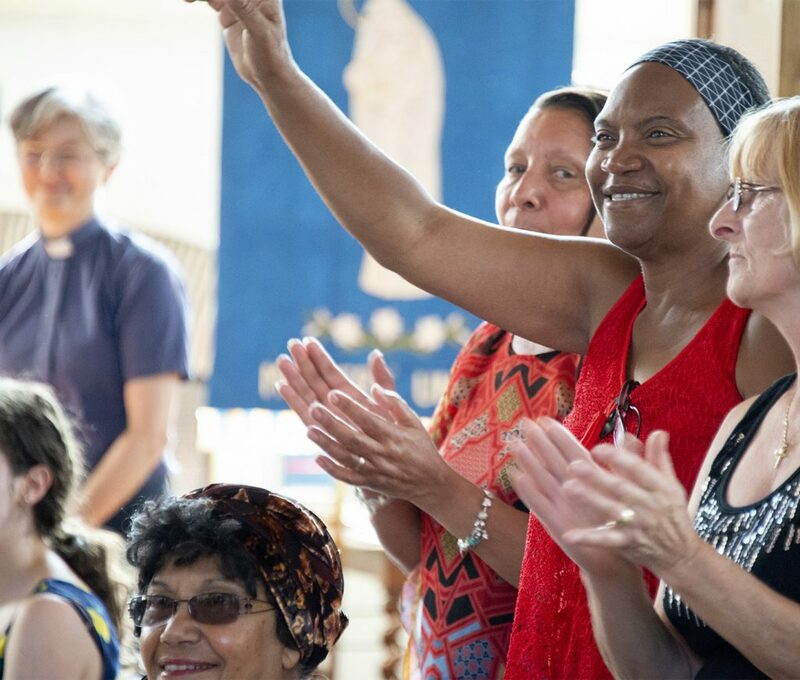 Over the last 18 months, St Albans Diocese’s ‘Take Your Vicar to the Lab’ project has given clergy and other church leaders the opportunity to visit laboratories. 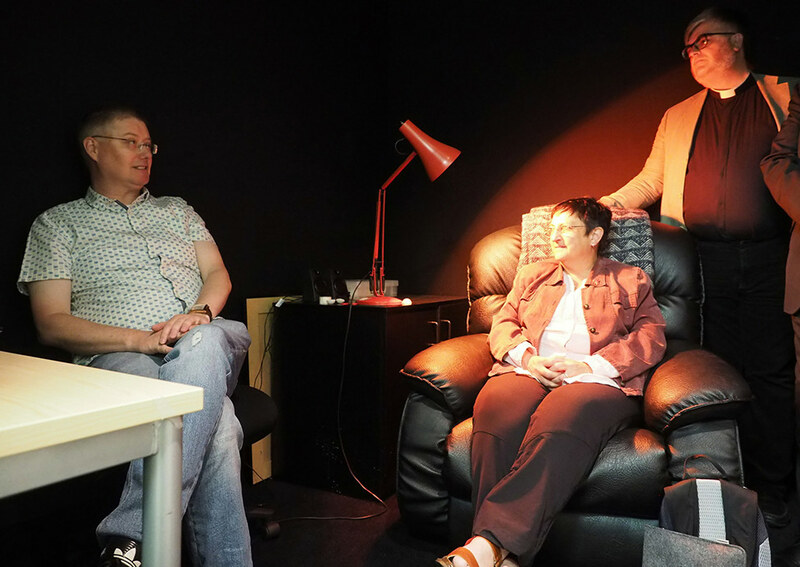 Recently, eleven of us were able to visit the department of Parapsychology at the University of Northampton as the guest of Prof Chris Roe and his colleagues. In his research, Chris is scientifically measuring effects that are sometimes labelled as “paranormal”. Among his examples was an experiment into telepathy. One participant sits in a quiet, darkened room while a colleague watches a short video elsewhere in the building. The person watching the film has to transmit the image to the person sitting in the dark. Intriguingly, experiments such as this do give “statistically significant” results. In other words, there seems to be something: an unknown which Chris calls not the “X” of algebra but “psi”. However, rather disappointingly, when we tried out one of the experiments ourselves, there was no evidence at all of anything unusual. Nevertheless, it was an astonishing, fascinating day which we all thoroughly enjoyed. But in the end, it left us with as many questions as answers. How might we relate these supposedly paranormal experiences to Christian belief? After all, surely God is at work in ways that science has yet to fully understand.